What is it that AMA (WA) does? The Australian Medical Association (WA) is the peak representative body, for Western Australian doctors. The AMA(WA) advocates health and wellbeing of Western Australians and advises, lobbies and promotes to various levels of government and private enterprise to support the Western Australian community. The Australian Medical Association (WA) supports Dr YES (Youth Education Sessions) and ensures that the program is evidence-based and addresses health issues of adolescents. 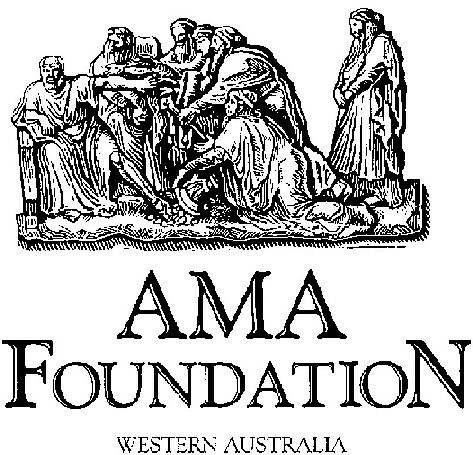 The AMA (WA) Foundation was established in 1996, with the key aim of improving the health of young people. Since then, much of the work has focused on the health needs of adolescents as they negotiate the often difficult and hazardous transition to adulthood. One of the striking features of adolescents is that as a group, they are extremely reluctant to seek help when faced with health related issues. This, combined with a propensity for risk taking, makes them highly vulnerable in certain situations, especially if they are under the influence of alcohol or other drugs. Adolescents must somehow learn to stay safe, as well as to understand and take responsibility for their changing bodies, interests, behaviour and sexuality. The Dr YES (Youth Education Sessions) preventative health education program is designed to meet these principle areas of need in particular as they relate to alcohol and other drugs, mental health and sexual health. The program is led by medical students, who are trained to act as peer-group facilitators. Their primary role is to empower young people to make informed and healthy choices and to reduce barriers to health care by advising on issues such as Medicare entitlement, confidentiality and consent. During the health education sessions, the Dr Yes volunteers incorporate drama, role-play and small group discussions to engage the students and to promote the Dr YES messages. Dr YES is not a stand-alone program, it is designed to complement and enhance school health curriculum for students aged 14-17 years, not to replace them. We hope students enjoy the sessions with the Dr YES medical student volunteers and that they acquire new knowledge and skills. Like all youth health programs, we seek to constantly improve our connection with young people and the quality of the sessions. Your ongoing support and feedback is warmly appreciated.